The Bunkhouse at NEM is one large community bunkroom. There are no thrills and frills, but it sure beats sleeping in the back of your car! We offer several beds for the weary climber, hiker, skier or outdoor enthusiast. The bunkhouse also has two community bathrooms and a washer and dryer. On the main level you will find a very cozy community area in front of a beautiful stove where you can chat with NEM guides and other outdoor enthusiasts. We have rental gear, NEM merchandise, and an awesome community of people who share the same interests as you! We look forward to having you stay with us at the NEM Bunkhouse! Coming up after work? Leaving early? No worries. 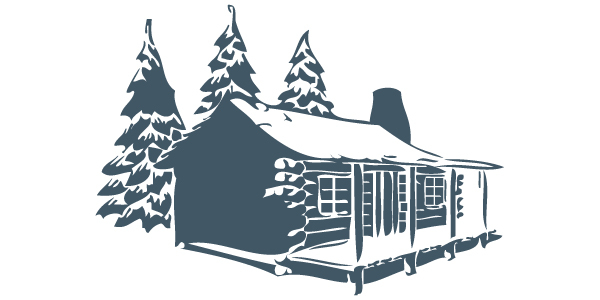 Where is the bunkhouse located? You can check in between 5PM and 9PM. If we are out climbing, you can enter through the side entrance with a keycode, or stop back in later. Checkout is 3PM or earlier. Please arrive before 10PM as a courtesy to our guests in the bunkhouse who may be sleeping. What amenities does the bunkhouse offer? We have a community bunk space, two bathrooms, washer and dryer, lockers. On the main level we have a community living room where you can relax or read a book in front of the fire. Also on this floor, we have a crock-pot, coffee maker, microwave, and toaster oven for your use. The bunkhouse is fully heated and has potable running water. You will need to bring a sleeping bag or some blankets for the bunk. It is heated so you do not need anything fancy. You are welcome to bring your own pillow however they are supplied as well. We do not. We designed the bunkhouse to be an extremely affordable lodging option offering a clean, comfortable, and warm place to sleep before or after your climb. You will pay online with your registration.